A lot vehicles were missing, i couldn't find a HD version, but i did found this VHS version. 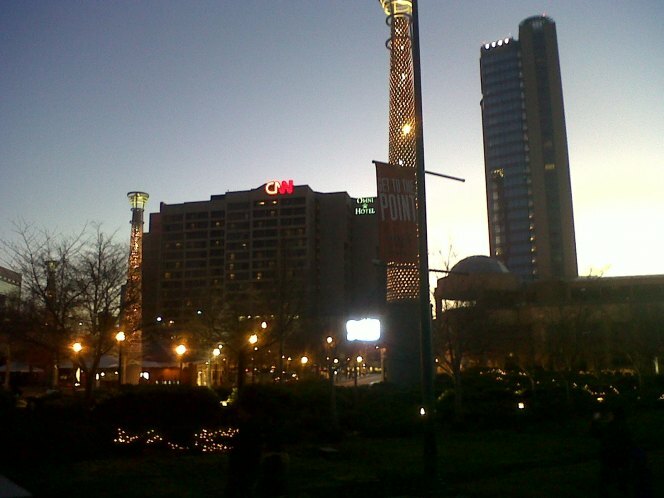 The building at the title picture is the top of the Westin Peachtree Plaza Hotel. 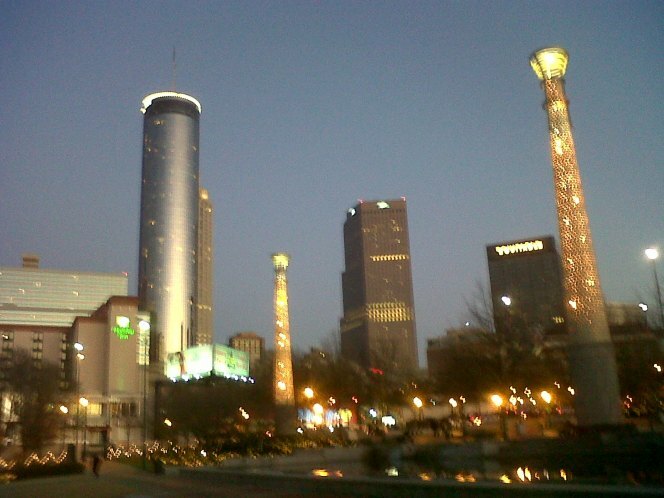 @rjluna2 looks like Atlanta changed a lot since 1981. 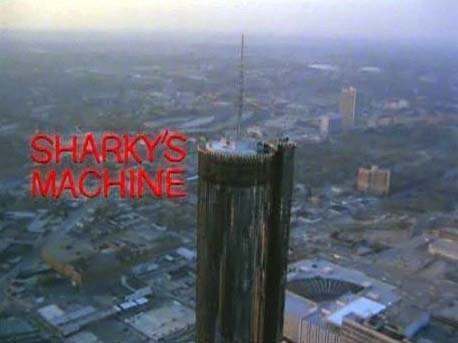 I took a lady friend of mine for a horse and carriage ride through Atlanta one day, and the driver went right by that building and described all the things that happened in "Sharkey's Machine" involving that building. 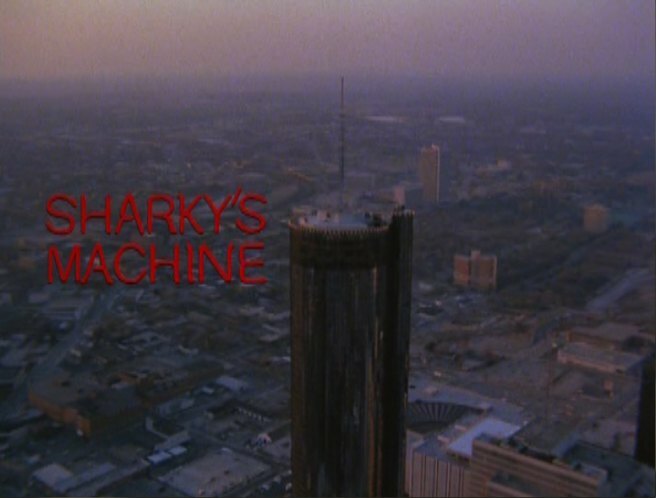 The movie is still talked about in Atlanta to this day.